Most students at Harvard Law School know Professor Bob Bordone as the award winning lead instructor for Harvard Law School’s Spring Negotiation Workshop. In the coming days, for the first time, delegates in Dublin will have the opportunity to learn the latest information, techniques and teaching from this world famous institution. Given the complex and evolving nature of organisations today – the varied and complex legal and contractual issues that arise on a regular basis both internally with staff and management, and externally with suppliers, partners and clients, it has more important than ever to be formally educated by the leaders in the field of negotiation an dispute resolution. Robert Bordone is Thaddeus R. Beal Clinical Professor of Law, Harvard law School and the Director of the Harvard Negotiation and Mediation Clinical Program. Mr Bordone is the anchor presenter on the Programme on Negotiation at Harvard Law School’s “Negotiation for Senior Executives”. Organisational obstacles and other complicating factors. This is the first time Mr. Bordone of the Programme on Negotiation at harvard Law School has delivered his course inIreland and the UK. For over 25 years Harvard Law’s “Program on Negotiation” has taught people from around the world how to improve their skills as negotiators and how to create deals, solve problems and build strong relationships. Join participants from around Ireland in this rare opportunity to learn from a world class negotiator in this inspiring and thought provoking course in the heart of Dublin. The Harvard Negotiation Institute (HNI) at the Program on Negotiation offers popular five-day and two-day negotiation workshops for lawyers and non-lawyers taught by leading Harvard faculty and experts in the field of negotiation, mediation and conflict management. Places on this course are strictly limited and the event is expected to sell out, you can register now to avoid disappointment. Simply call us on 01 6761952 to secure your place. Horizon Speakers & Seminars are promoting this event on behalf of Dispute Management Ltd in association with Independent Colleges. In 2007, the graduating class selected Robert as the recipient of the Albert Sacks-Paul Freund Teaching Award, presented annually by the student body to one member of the Law School faculty for their teaching excellence, mentorship of students, and general contributions to the life of the Law School. Bob also teaches several other research courses on dispute resolution, leadership, dispute systems design, and multi-party negotiations. He supervises the three student organizations at Harvard Law School devoted to the application of ADR and negotiation to the world around them: the Harvard Mediation Program, the Harvard Negotiators, and the Harvard Negotiation Law Review. 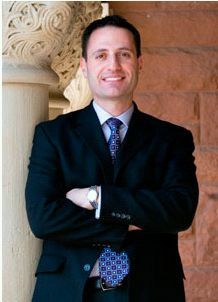 He is Founding Director of the Harvard Negotiation and Mediation Clinical Program, which the International Institute for Conflict Prevention and Resolution (CPR) selected to be the recipient of its 2010 Problem Solving in the Law School Curriculum Award. In his free time, Robert often works as a professional consultant, facilitator and scholar in the field of negotiations and dispute management. Bob has worked with a range of corporate clients including Premera Blue Cross, Health Net, Gap, Inc., Fidelity Investments, Nestlé, Coca-Cola, Delta Air Lines, Exelon, and Microsoft. In addition, he has worked on projects with non-profit, educational, governmental and cultural institutions such as the Boston Symphony Orchestra, Massachusetts General Hospital, Princeton Regional Schools, Dartmouth College, Fort Wayne, Indiana Schools, the U.S. Department of Justice, the United Way, the International Criminal Court at The Hague, DePaul University, and the Vienna School of Economics and Business Administration. Furthermore, he has taught executive negotiation seminars to a large number of legal professionals, ranging from public interest attorneys working for the Alaska Department of Natural Resources to private corporate attorneys working at major law firms in both the United States and internationally. Robert’s research interests include the design and implementation of dispute resolution systems, the development of a problem-solving curriculum in law schools, and ADR ethics. Bob is co-editor of The Handbook of Dispute Resolution, (Jossey-Bass, 2005), recipient of the 2005 Book Award from the National Institute for Advanced Conflict Resolution. Bob has also authored a number of articles including Negotiation Teaching in Law Schools, a working paper published in Negotiation Pedagogy: A Research Survey of Four Disciplines, 11 (2000); Teaching Interpersonal Skills for Negotiation and for Life in the Negotiation Journal (October 2000) and Electronic Online Dispute Resolution: A Systems Approach—Potential, Problems, and a Proposal, 3 Harv. Neg. L. Rev. 175 (1998). He has written numerous case simulations used in Harvard negotiation courses and other American law schools and is currently at work on a book he is co-authoring titled Designing Systems and Processes for Managing Disputes. A graduate of Dartmouth College and Harvard Law School, Bob clerked for the Honourable George A. O’Toole, Jr. and worked for Crowell & Moring, LLP in Washington, D.C., the U.S. Department of Justice, the Boston Consulting Group, and CBS News before returning to Harvard. As the Director of HNMCP, Robert is responsible for the overall functioning of the clinic, and he also manages some of the clinical projects. He is lead professor on the Spring Negotiation Workshop and teaches the new Fall workshop Advanced Negotiation: Multiparty Negotiation, Group Decision Making, and Special Dispute Management Processes.